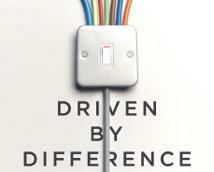 My new book, Driven by Difference released last month. With early coverage in The Economist, Fortune, Fast Company, and elsewhere, the book is being well-received globally but I haven’t had a chance to celebrate with you! Linda and I, and our team at the Cultural Intelligence Center are throwing a party to say thank you to the many people who made this new book possible and we’d love for you to join us. We have guests joining us from around the world but it won’t be complete with out you! Come for a few minutes…or stay for awhile. When: Thursday, April 14 at 5 p.m.
All you have to do is show up! Feel free to invite others!